There are certain levels to mid-range smartphones in the market. While they generally offer nice features for their price, there’s a budget sections for those that are not willing to spend much, yet demands a level of functionality. 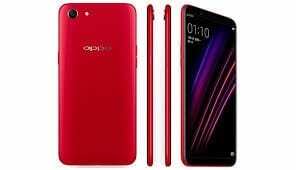 This brings us to the Oppo A1, a budget mid-range offering that is well designed, has an interesting spec sheet and above all does not cost much. Although, this is a mid-range smartphone, the specs it offers are quite limited. On the outside, the Oppo A1 is a good looking smartphone with an 18:9 aspect ratio and slim bezels. The overall ergonomics is also quite impressive and simple with metallic casing. Due to the slim bezel, the smartphone adopts on-screen navigation buttons while at the back you have the camera at the upper left edge with the LED flash beside it. There is nothing really impressive about the display other than being bezel-less. It comes with only a 1440 X 720 pixels display with a 5.7-inch size. Also, thanks to the aspect ratio, it appears slender and tall with 282 ppi pixel density. Going by daily usage, the Oppo A1 has a sufficient battery capacity although intensive usage will cut short this time frame. That being said, the smartphone comes powered by a 3, 180mAh non removable Li-Po battery which also supports quick charge. The Oppo A1 keeps things simple with the camera featured here but quite good enough for taking nice pictures. In that regard, the smartphone has a 13MP rear camera with dual LED flash and an 8MP front camera. It is quite impressive what you find inside the Oppo A1 featuring a nice mid-range MediaTek SoC. You’ve got an Octa-core MediaTek MT6763 (Helio P23) processor with a clocking speed of 2.3GHz max. It does not end here, has you also have a Mali-G71 MP2 GPU in charge of graphics. Moreso, there is a generous offer of 4GB internal memory with a 64GB built-in space for storing files, music, movies and all. You could also expand the storage space to 128GB using a memory card. You would also be greeted by an Android 7.1 Nougat booting from the box. 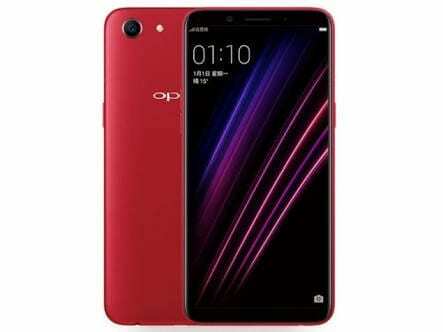 The smartphone is available for sale in China but will soon get here and it sells for an equivalent of 80, 000 Naira depending on the deal and your location.